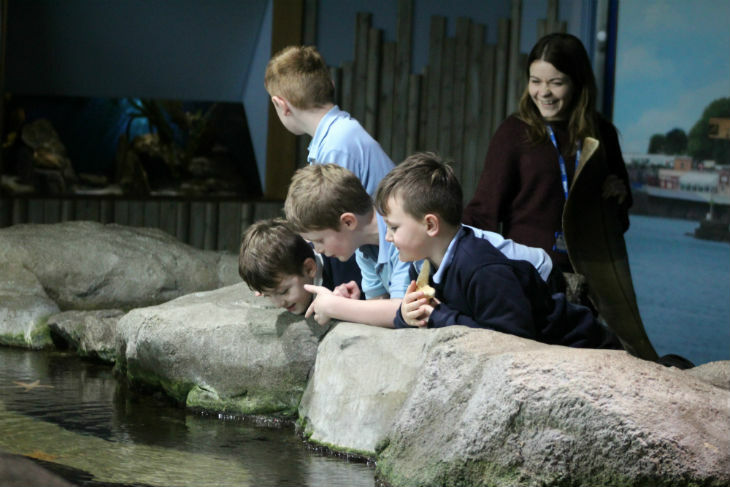 The National Marine Aquarium is a sensory and therapeutic environment, providing opportunities for pupils to develop their learning in an engaging and immersive way. Whether you are a teacher from a special school or you have students with additional needs in your mainstream class, our programme is fully inclusive and can be differentiated for the needs of everyone that takes part. Trained staff are always at hand to provide you with support and to ensure you get the most out of your experience with us. 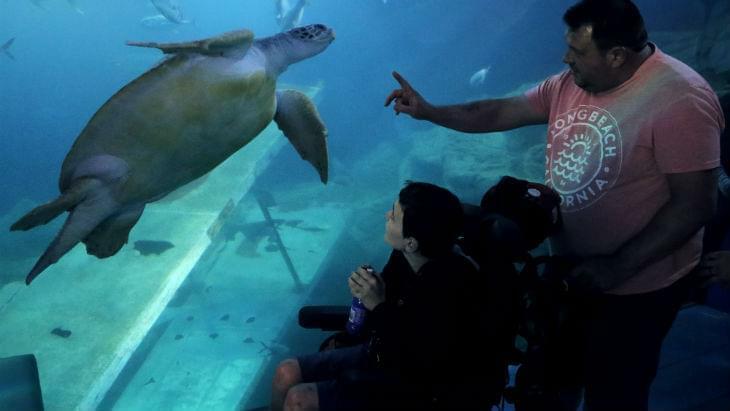 Students visiting the Aquarium as part of a dedicated special educational needs group visit have two basic options for entry into the Aquarium. Costs are based on a group size of 12 or more students. This option will allow pupils to learn all about the Ocean with the support of a dedicated member of our Discovery and Learning team, who will take them on a journey through the Aquarium exhibits. Teachers will be able to decide which topics are covered, allowing the tour to be tailored to meet the learning needs of their students. 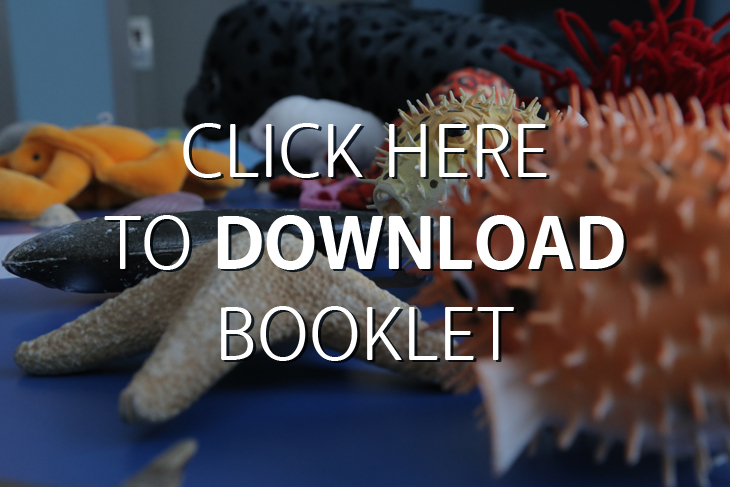 This is a self-guided visit to the Aquarium in which your students will be able to explore all the exhibits. Your class will have full access to the programme of public shows, talks and feeds throughout the day. Our Learning Headquarters are the perfect place to base your group as part of a visit to the Aquarium. Located near to the exhibits and equipped with quiet lunch spaces, toilets and small private rooms, they are perfect for pupils who require additional spaces or resources during their visit. As an alternative to the above option, why not pick from the following activities to design your own tailored hour-long workshop for your pupils? We have a range of sensory and engaging activities to choose from, all of which can be easily adapted to cover a variety of P scales, areas of the EYFS Statutory Framework and the National Curriculum. We are happy to communicate with you to arrange any adjustments you feel would be beneficial for your pupils. We can also arrange partnerships with your school, which would allow pupils to take part in regular bespoke workshops throughout the year, in addition to receiving many other benefits. Please get in touch with us to find out more or click on the image below to read our booklet on bespoke workshops. Any additional adults who normally work in your classroom, or any adults who offer full-time 1:1 support to a child, may also enter for free. If you would really like to introduce your students to the magic of the ocean but are unable to visit us here at the Aquarium, there is still plenty we can do by coming to you! Get in touch using the contact details below to find out how we can bring our educational experiences to you.